Samaya Hotel Deira is strategically located in the commercial and business district of Deira, overlooking the panoramic view of the renowned Dubai Creek. With 16 stories, the hotel is a splendid achievement in modern architectural design, comprising of 213 rooms and suites with lovely views over the Creek, each with luxury furnishings and linens, stunning marble bathrooms, electronic do-not-disturb and make-up-my-room facility, high-speed internet access, LCD televisions, evening turndown service, robes, in-rooms safe and mini-bar.The hotel offers short and long stay guests with top of the range facilities in a convenient location and you can enjoy its numerous facilities, delicious cuisine, health club and its rooftop pool, including our elegant restaurants and café where you can enjoy diverse light and buffet & a la carte dining. 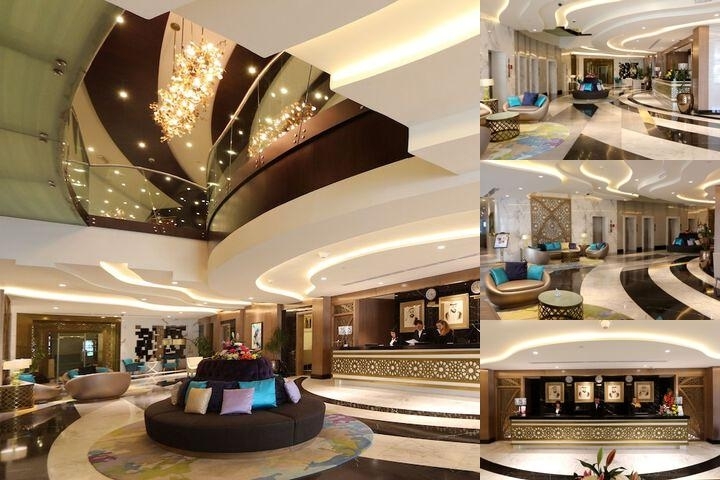 Below are the meeting, banquet, conference and event spaces at Samaya Hotel Deira. Feel free to use the Samaya Hotel Deira meeting space capacities chart below to help in your event planning. Hotel Planner specializes in Dubai event planning for sleeping rooms and meeting space for corporate events, weddings, parties, conventions, negotiated rates and trade shows. 11 x 8 x 2 M.
8 x 8 x 2 M.
6 x 7 x 2 M.